Special sweets for the cold! 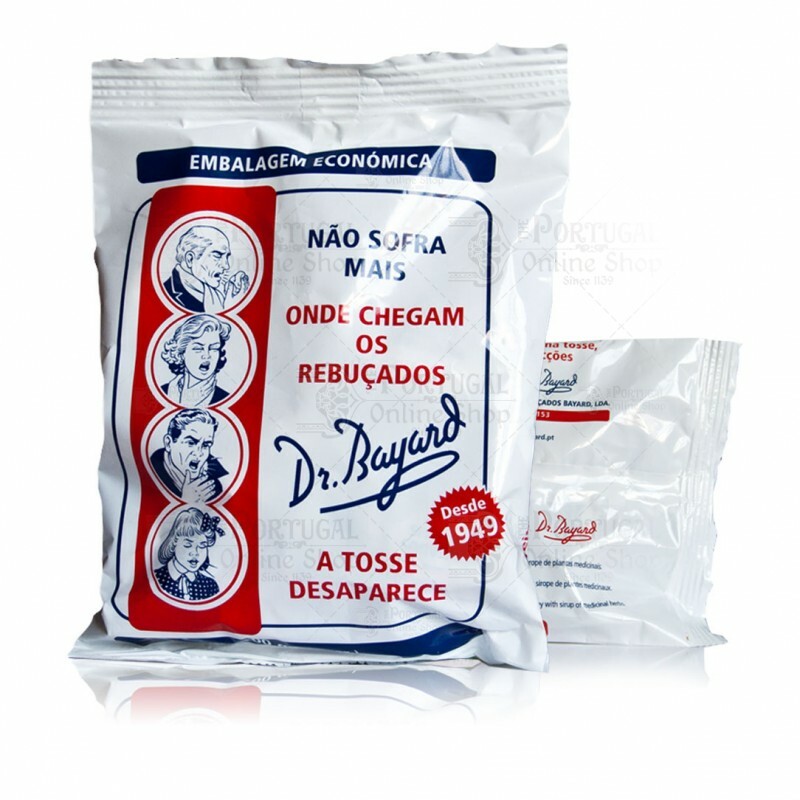 Dr Bayard's cough drops are simply unique in Portugal! 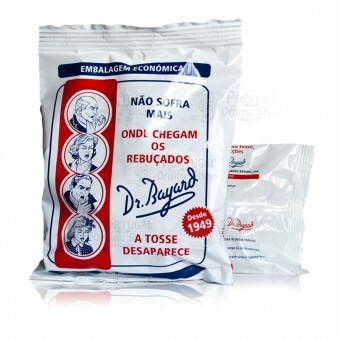 These special sweets date back from 1949, when a young Portuguese man called Álvaro Matias met a refugee French doctor in a small groceries store in Lisbon downtown. Dr Bayard to be precise. A tight friendship was born after that, with the young man acting as a "right hand man" for the doctor, and assisting him everywhere. When Dr Bayard returned home thankful, he gave Álvaro his most precious gift. The secret formula for his cough drops. With a unique sweet Anise taste, it is recommended by doctors and pharmacies all over. Characteristics: plastic bag with original vintage graphics. 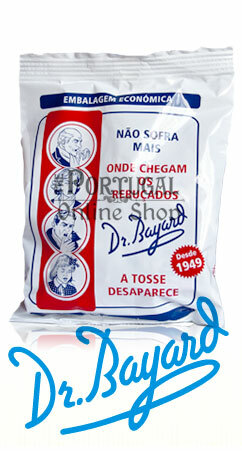 The production for the exquisite and very popular traditional Dr. Bayard's cough drops was born in 1949. Today the factory produces four tons of sweets per day, keeping the recipe's secret! With its unique formula still being a secret, Dr. Bayard's cough drops recipe is composed of sugar, glucose, marshmallow and honey all mixed in a combination of herbal teas. The Anise taste is very characteristic and much appreciated all over. Unique cough drops so soothing to throat.